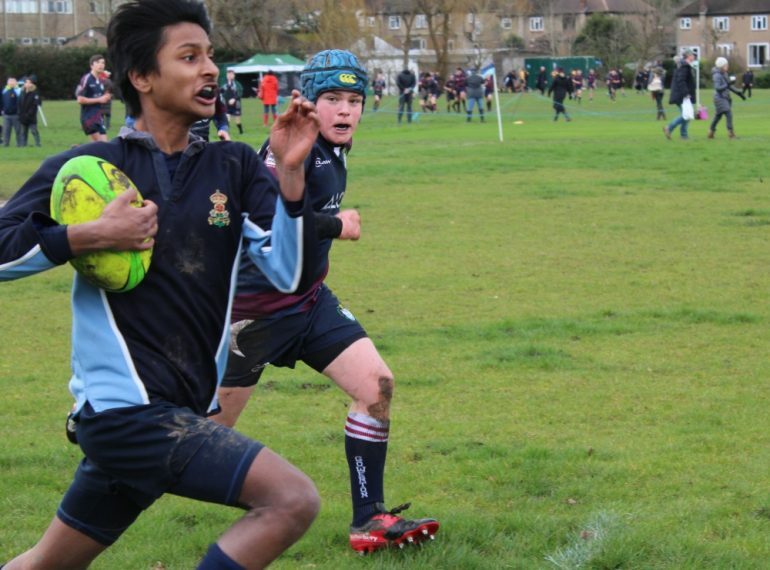 Sixty teams from leading schools across the country journeyed to Barnet for the 43rd annual Queen Elizabeth’s School Rugby Sevens Tournament. 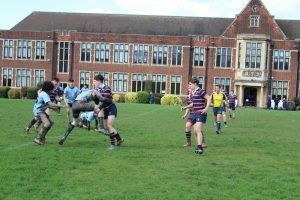 Wimbledon College took the U16 Cup and Whitgift School won the U14 Cup, while Eton College achieved a tournament first, winning the Plate at both U14 and U16 level, after seeing off the challenge of Warwick School in both Plate finals. Players had to contend with a full range of weather conditions, including blustery, gale-force winds, heavy rain, a little sunshine and even some sleet or snow towards the end of the day. 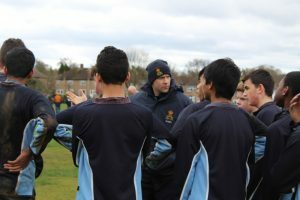 QE’s Head of Rugby, James Clarke, who was the main organiser, thanked all the visitors for a good day’s rugby, adding: “It is a real QE community day, with staff, student helpers from Years 12 and Year 7, Friends of Queen Elizabeth’s and former staff all out in force to ensure that it runs smoothly. “So far as QE’s players are concerned, we had a tough draw. Our U16A team found themselves in what could in retrospect be considered the ‘group of death’, pitted against both the eventual Cup winners, Wimbledon, and the Plate winners, Eton. They nevertheless managed a 12-5 victory against the other member of the group, Woodbridge School, in their opening game. 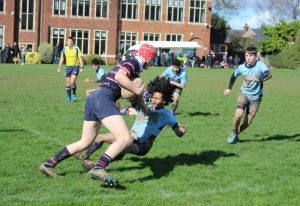 The U14s also had a tough day, but battled well throughout,” Mr Clarke (OE 1999–2004) said. The tournament was established in 1976 by Dave Maughan, who was QE’s Head of PE/Games from 1974–2003. He returned to the School once again this year to support the running of competition. The first tournaments, from 1977–1981, were played at the Old Elizabethans RFC at Gypsy Corner and were mainly for schools from Hertfordshire, featuring A & B teams from both age groups. In 1982, the tournament relocated to the School pitches, and the Byng Road pitches of Barnet RFC (now the Barnet Elizabethans RFC, following a merger between the two clubs in 1997). By then, the event was becoming popular with schools across a wider area. 1983 saw it reach its present size of 32 teams in each age group, with participants from across England and Wales, including QE’s A & B sides at U14 and U16 level. Eight of the nine pitches used are on clay soils, so conditions can frequently get muddy. The finals are played on pitches 1 and 2 at the front of the School. Victories by schools to take the U14 title and then later the U16 Cup. QE achieved this in 1977 and 1979. Others who have followed suit include Wellington College, who did in twice (2000 & 2002; 2015 & 2017); London Oratory School (1998 & 2000); Wimbledon College (2005 & 2007), and Gowerton School, Wales (2012 & 2014).